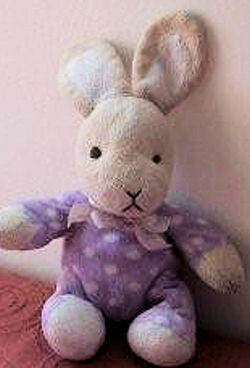 Hi there, I have a heartbroken 3 1/2 year old who lost her favorite soft toy on Monday 16th, Feb, 2009, in Hobart, Tasmania. He fell out of the pram unnoticed. I would appreciate if you could find a replacement who would be welcomed with love into our family. He went EVERYWHERE with us and is greatly missed. Used/well loved we don’t mind!